Every fall our family has a pumpkin party. We take a hayride into the pumpkin patch my husband planted and gather the bounty. 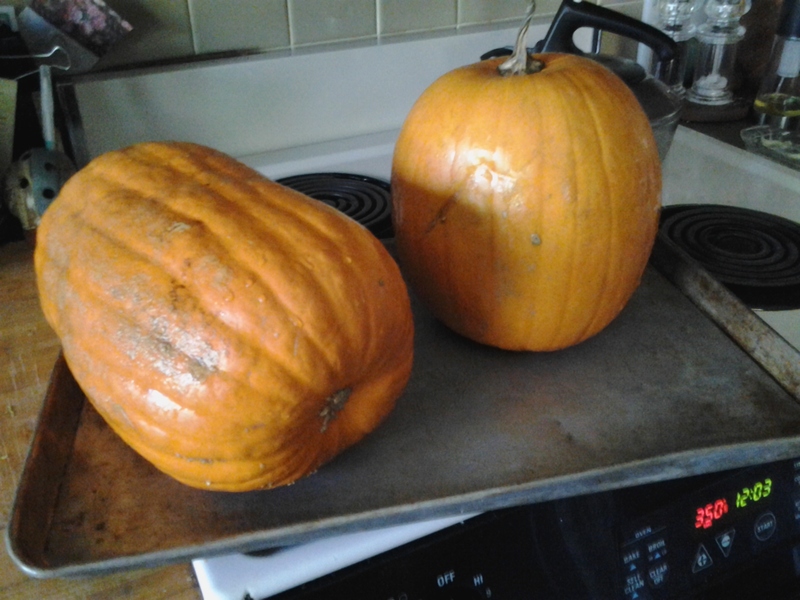 For years I cut the pumpkins in half, scraped out the seeds and put them face-down on the cookie sheet in the oven to bake in order to make the most delicious puree for pies or muffins. I found an easier way online this year. Sooooo much easier! How to Make Pumpkin Puree, the Easy Way. 6. Optional: To speed cooling, remove top of pumpkin to let the steam escape, but be careful, it’s hot!